← If Only . . . I was minding my own business, browsing through one of my favorite used book stores, when I was drawn to a stack of old National Geographic magazines. None of the NGs were very old, so I can’t account for the reason I started digging through them, but wedged into the middle of the stack was this treasure! 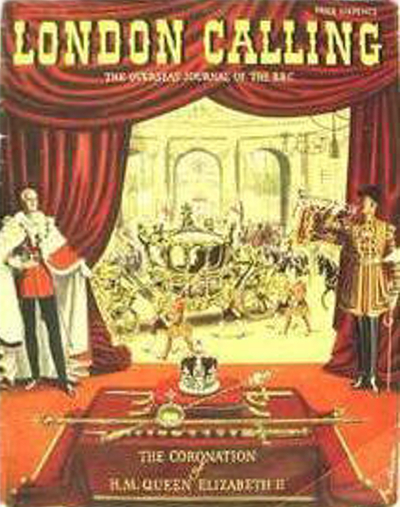 Dated May, 1953, the cover features an illustration of the gold state coach. Inside is the BBC broadcast schedule so people could use it to follow the procession and coronation ceremony. I love it! It’s now a little bit of English ephemera residing on my coffee table.